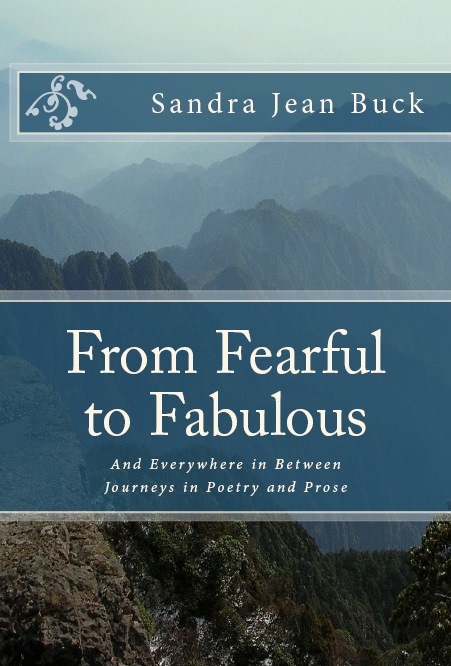 Just Released: From Fearful to Fabulous and Everywhere in Between, Journeys in Poetry and Prose by Sandra Jean (Sandy) Buck. From Fearful to Fab﻿ulous is Sandy’s first published book. It reflects not only her own experiences, ideas and concepts, but also reaches deep into the hearts of others to reawaken the slumbering spirit residing there. Allow the rich imagery woven into each piece to take you on a very personal journey of your own. No matter your culture, gender, background or spiritual path, you will find bits of yourself within these carefully scripted pages.